One of the country's best food cities is about so much more than what's new, hot and happening. 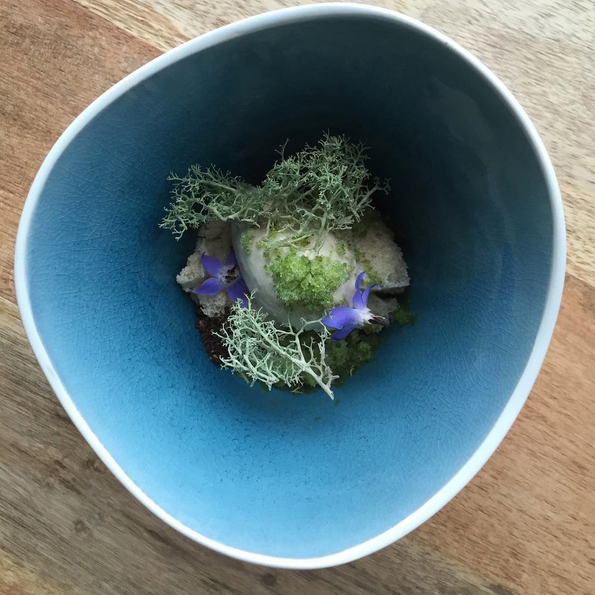 Decorated with Michelin stars, host city to the annual James Beard Awards, and the place you'll find some of the country's most celebrated chefs, Chicago's status as culinary giant on the evolving American food landscape is utterly assured. The city has come a long way, in just a short time—not, of course, that there was anything wrong with the Chicago of old, not in the slightest. Less polished, surely, not quite so glamorous, okay, but there was always a sturdiness, an authenticity, a grounded energy that you don't typically get to touch when you lose yourself in this new Chicago, the shimmering new, updated edition of a metropolis that's more eager than ever to leave behind that gritty past immortalized in the Carl Sandburg poem. Not that you have to look too hard to connect with the city's past, if you're so inclined—once you start looking, you'll see it, all around you. As you run toward what's new, what's hot and what everyone's talking about, take time to detour out into the city that's always been there, that's still here, and hopefully sticking around for a long time to come. Here are just a few standout remnants of old-school Chicago, still around and thriving today. 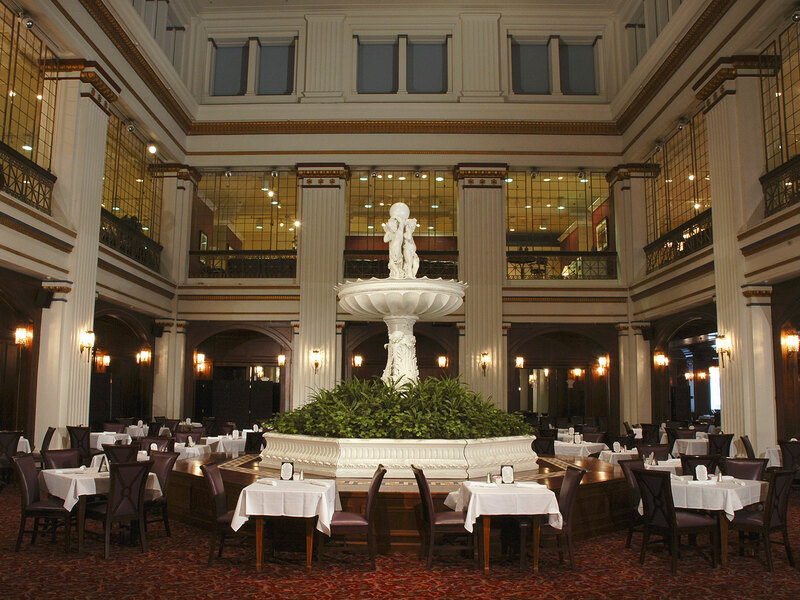 It may not be Marshall Field's department store anymore, but give the new tenant (Macy's) a little credit—the 17,000 square-foot dining room (the first restaurant ever to open in a department store, we're told) perched atop Fields' former State Street flagship not only lives on, but lives relatively well, serving up simple chicken pot pies (based on a 19th century recipe), salads with a toasted sesame dressing that remains a staple in some local households, and other vintage-y dishes that you didn't know that you needed in your life, before you got here. The room alone is a marvel; show up early, and you might get seated directly by the absolutely massive windows. Standing sentry near the original start of Route 66 (actually predating the inauguration of the Mother Road, by a couple of years), this neon-signed gem is one of the most celebrated breakfast joints in the Midwest, famous for handing out Milk Duds (a Chicago original) and doughnut holes to its customers, who crowd in for omelettes and waffles, just like always. 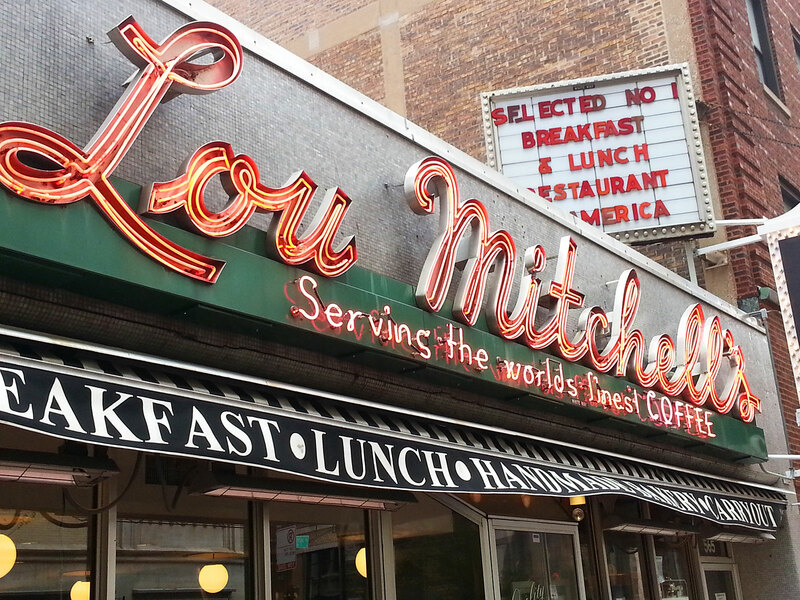 Lou's has hosted presidents, is on the National Register of Historic Places, makes its own marmalade, seemed to obsess over ingredient sourcing long before most, and you should absolutely eat here, if only to honor the fact that it has survived for nearly a century. 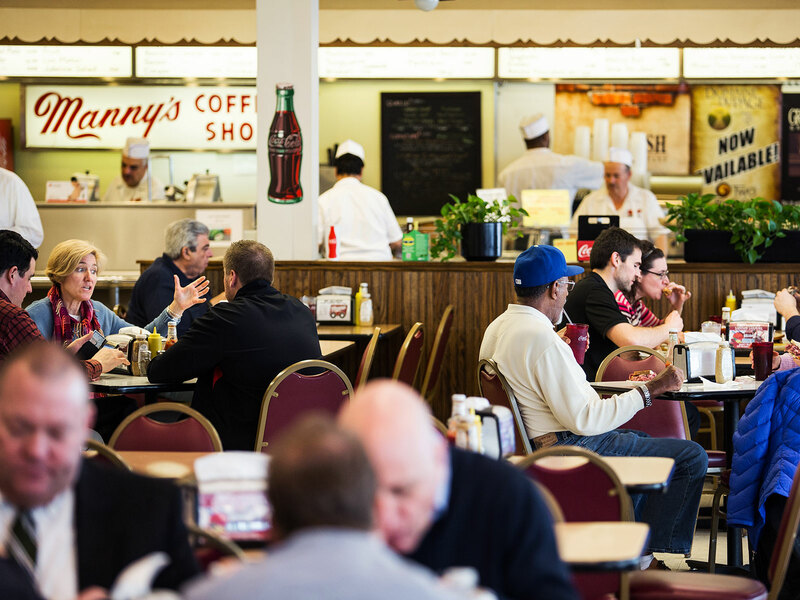 A corned beef on rye at Manny's is just as important to Chicago's food heritage as, say, an Italian beef sandwich, or pizza, perhaps more. The neighborhood this utilitarian, cafeteria-style joint once fed—the old Maxwell Street Market district—was torn apart and paved over in the name of progress, but Manny's is still here, still being run by the same family that started it four generations ago. Recent renovations had old-timers worried, but if the addition of a more modern deli area and a significant coffee upgrade (La Colombe) had to happen, at least, in return, the city got what it had always wanted: Sunday hours, making a trip to the neighborhood for the updated (and still worthy) Maxwell Street Market, operating on Sundays only, even more of a winning proposition. Believe it or not, there are plenty of Chicagoans who were never all that crazy about deep dish pizza—one of the lesser-known facts about the city, at least among people who have not lived here, is that Chicago has plenty of room in its heart (and its stomach) for more than one style of pizza, and often, you'll find Chicagoans eating something they call thin crust, which is not really an understatement—we're talking cracker, almost communion wafer-thin pies, cut into small squares and eaten in a couple of minutes by a small group of hungry people. Or maybe just one, really hungry person. 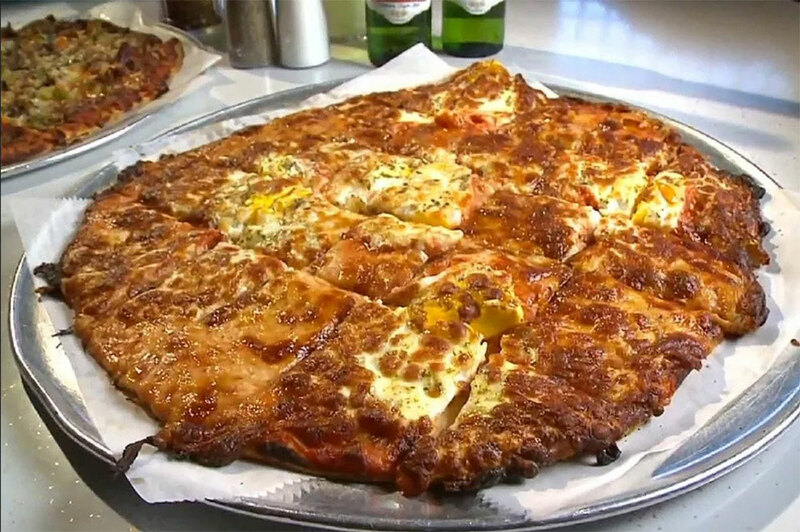 Way the heck out on the Southwest Side—not far from Midway Airport, actually—Vito & Nick's has been living its best thin crust life since the Second World War, at least. Here, the crust may have a tiny bit more heft than some of the more basic corner joints scattered throughout Chicagoland, but it's better than most of them, if not all of them. Oh, and they still do an all-you-can-eat Smelt dinner on Fridays, with salad, bread, butter and fries. Talk about old school. 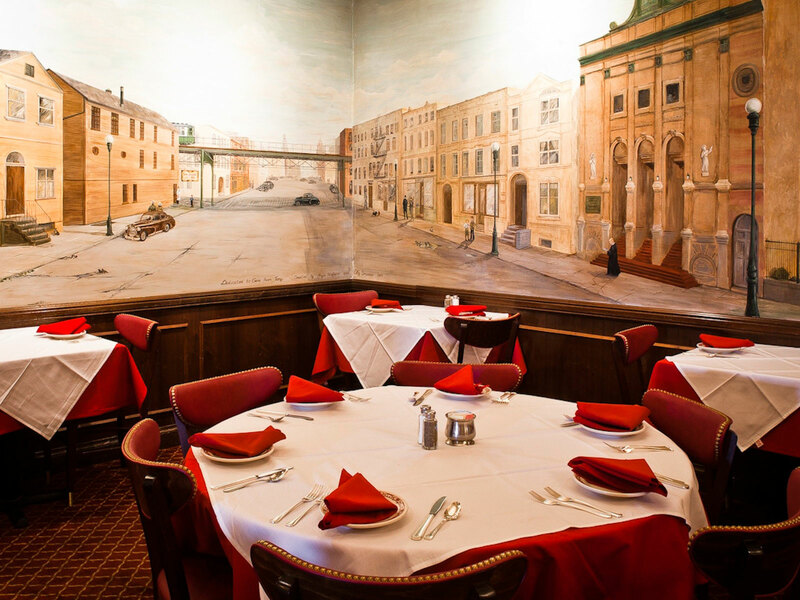 Two of the most Chicago things—massive steaks, and big helpings of simple, Italian-American cooking—come together to create a winning formula that has kept this charming restaurant open for roughly 75 years now; it may have long ago been eclipsed as an innovator on the food front, but when it comes to classic service and ambience, this place is in a class all of its own, particularly in this part of the city. 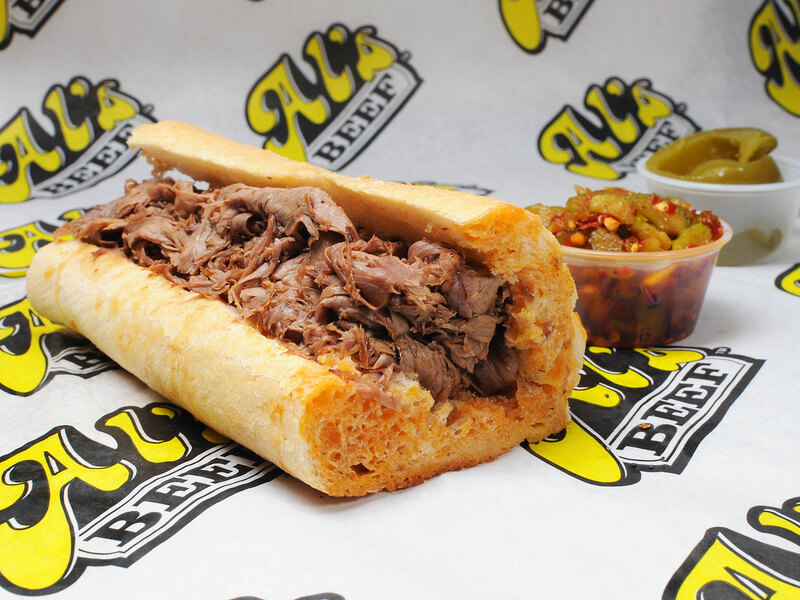 Italian beef joints in Chicago are like pizza slice joints in New York, or taco trucks in Los Angeles—everywhere, but not necessarily created equal. And while it's not entirely clear who really did invent the Italian beef sandwich, this vestige of the city's much-diminished Little Italy neighborhood is pretty sure their founder, Al Ferreri, did so, back in the 1930's. What's much more important than the exact facts surrounding a thing that happened the better part of a century ago, is that Al's—the original Al's, not the franchise Al's you see littered about—is still one of the best places to eat the Chicago favorite. Here, the thinly-sliced beef that goes into a hunk of spongy, Chicago-style Italian bread is a much better cut, and the jus that the whole thing is dipped in, for wetness, uses the beef drippings, for a vast improvement over the thinly-flavored liquid some other places use. But you're not done yet—last but not least, comes the giardiniera, the classic Italian pepper relish that's been a Chicago staple since the first Italians settled in Chicago. Al's makes their own. A million miles away from the city's so-hot-right-now dining districts, this Far South Side shack seems an unlikely candidate to have become one of Chicago's favorite restaurants, but you can't stop people from loving it, even if getting here requires a seemingly interminable trek. (It's almost in Indiana.) 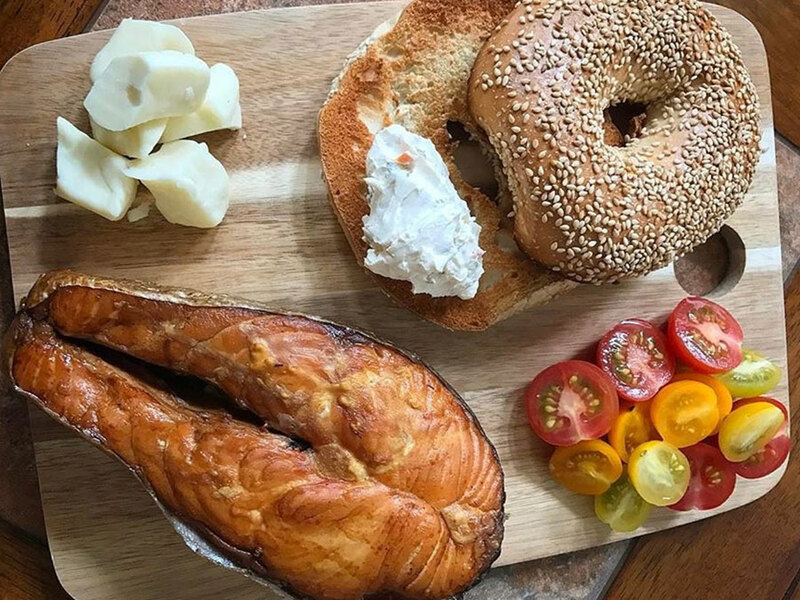 Why they come: for the smoked fish, of course, wood-smoked, the real deal, the way the same two families that started the joint have been doing since the 1940's. Sable, sturgeon, frog's legs, rainbow trout—all sorts of delicacies are given the treatment here, but plenty of visitors are content with the shrimp, or the salmon. Take-out only. You can't talk about classic Chicago food without talking about Chicago ribs. The sad fact is, many of the places that made the city famous for its own brand of barbecue have either been lost to time, or are so far from their original mission so as to be unrecognizable. 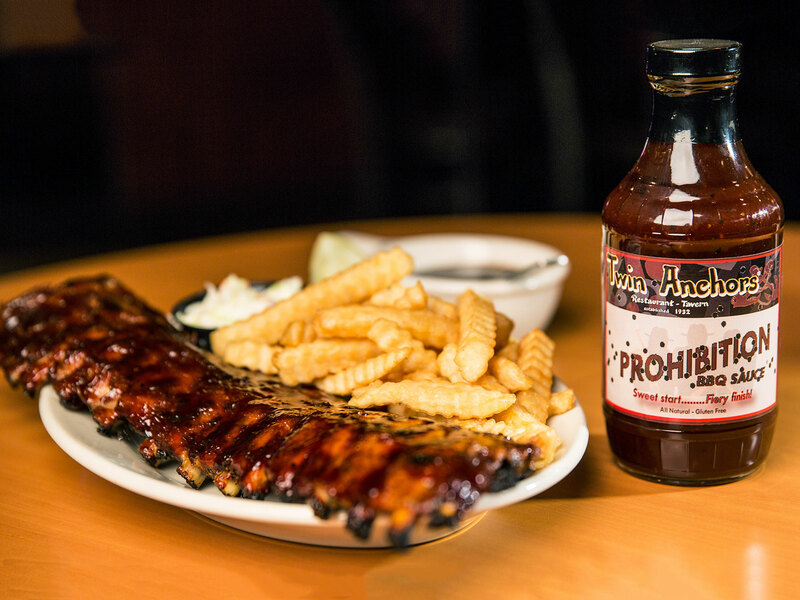 (In plain English: They're terrible, and you should not go there for ribs. Or anything.) There is something, still, about this Old Town institution, established in the 1930's, and housed in one of the city's relatively rare 19th century buildings, that makes Twin Anchors hard to quit—maybe it's just down to those baby backs, slow-cooked (not barbecued at all, actually) and served up wet (as is the Chicago way). Maybe you had to grow up with them. Maybe we're just crazy. Maybe you need to go see for yourself.